NORTH WALSHAM TOWN - Opened in June 1881 by the Yarmouth & North Norfolk Railway on the line from Yarmouth Beach to Melton Constable, it was also the terminus of the branch to Mundesley and Cromer. It closed in February 1959 but stayed open for freight until January 1966. 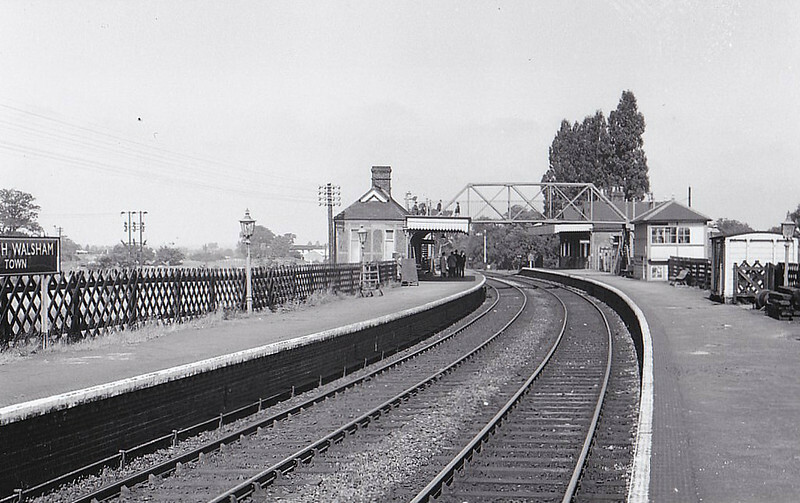 Note the footbridge, a style typical to M&GN stations.